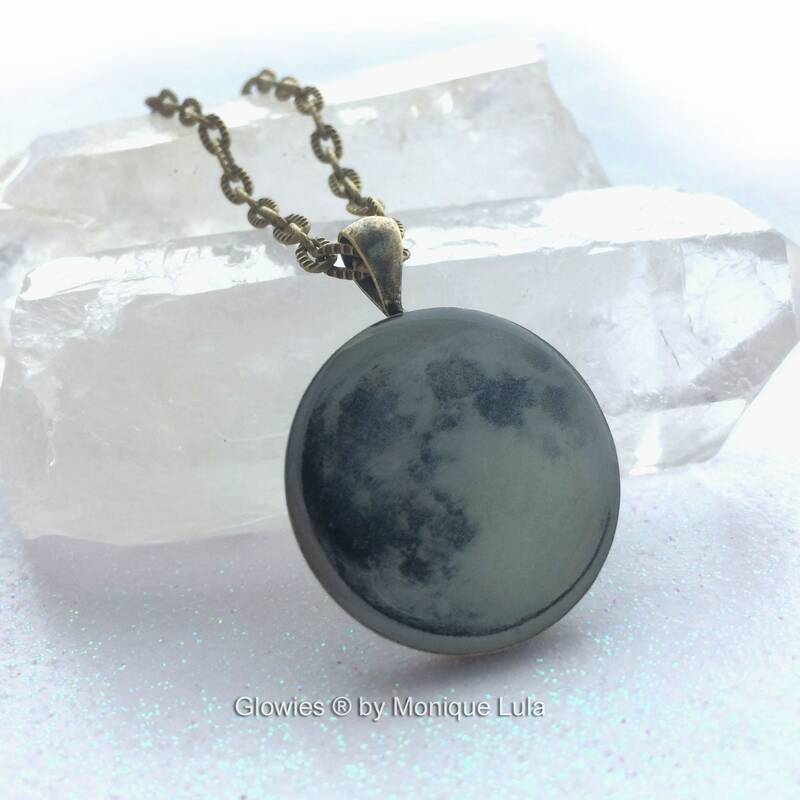 Perfect necklace for full moon night events! 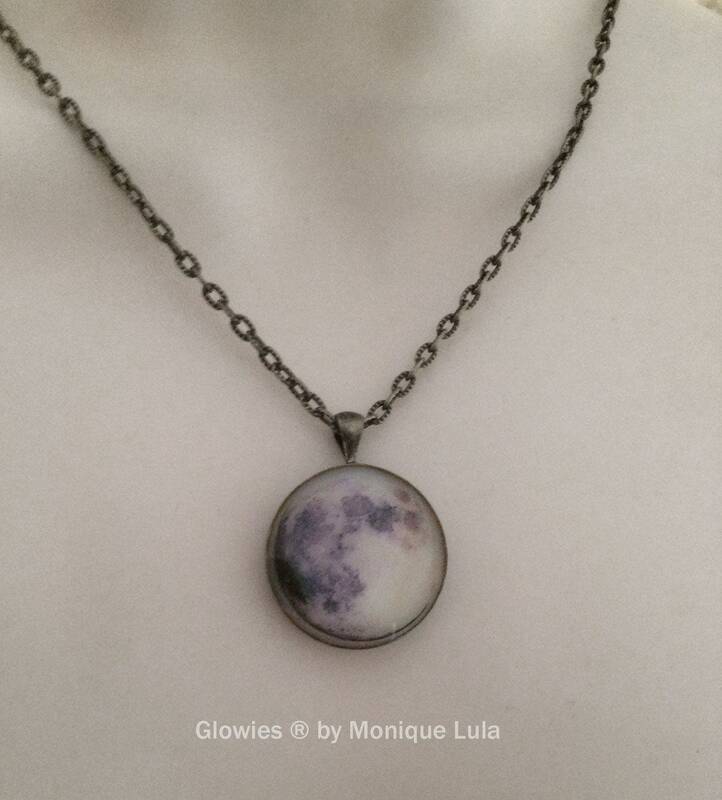 I used moonlight white glow and it has one of the longest glow times you can use, when charged with UV light or sunlight will glow for HOURS and it looks just like moonlight, it is so pretty and calming, the glow is relaxing like a full moon! 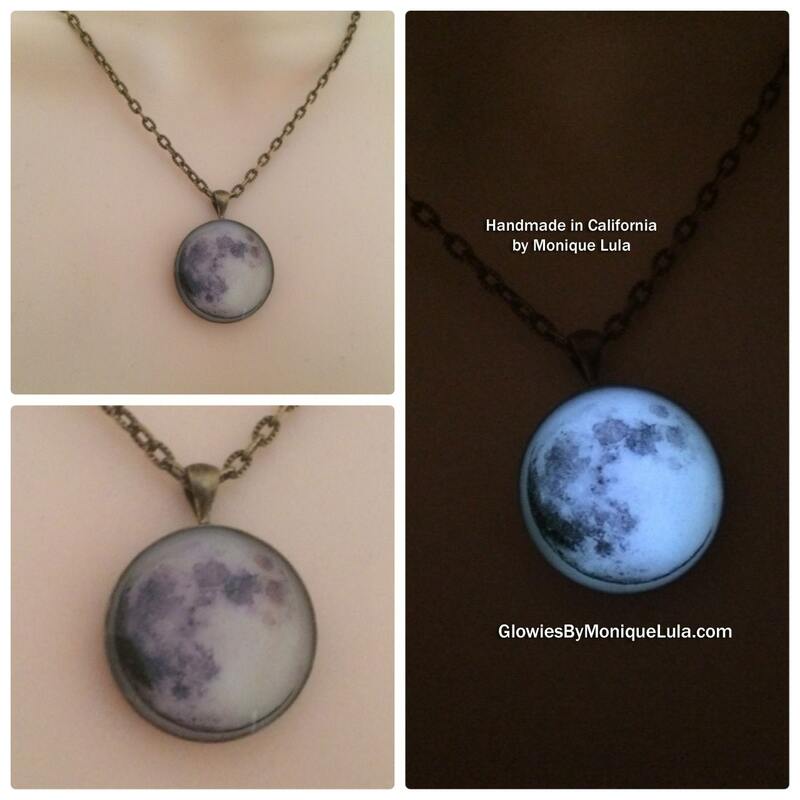 Can be made in antiqued brass or silver-plated, your choice when you add to cart. 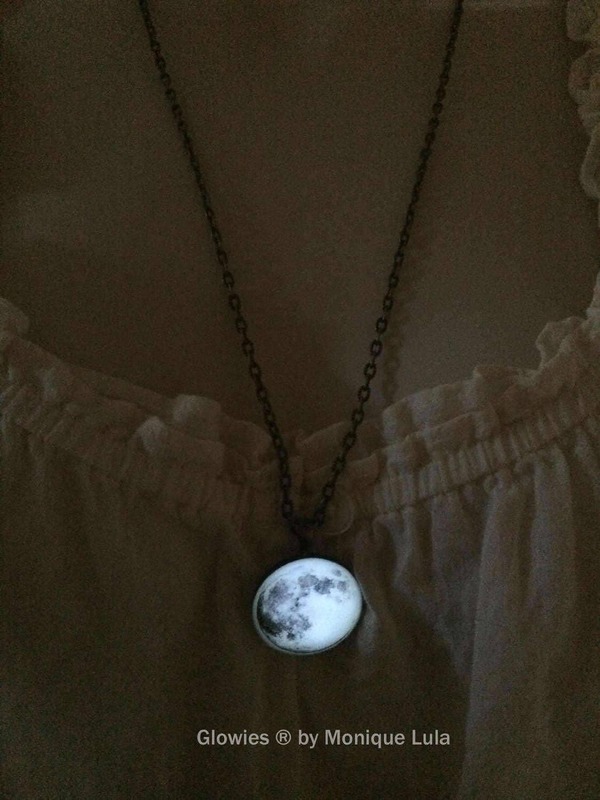 Charge this pendant in the sunlight, or a bright bulb, and it will glow bright for several hours. 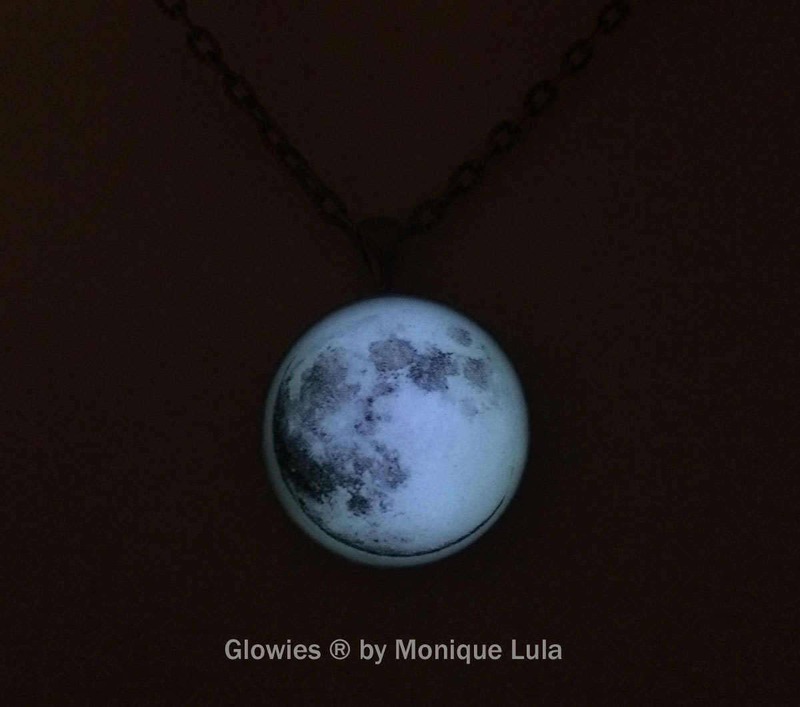 It will even glow in dim lighting with a good sun charge. 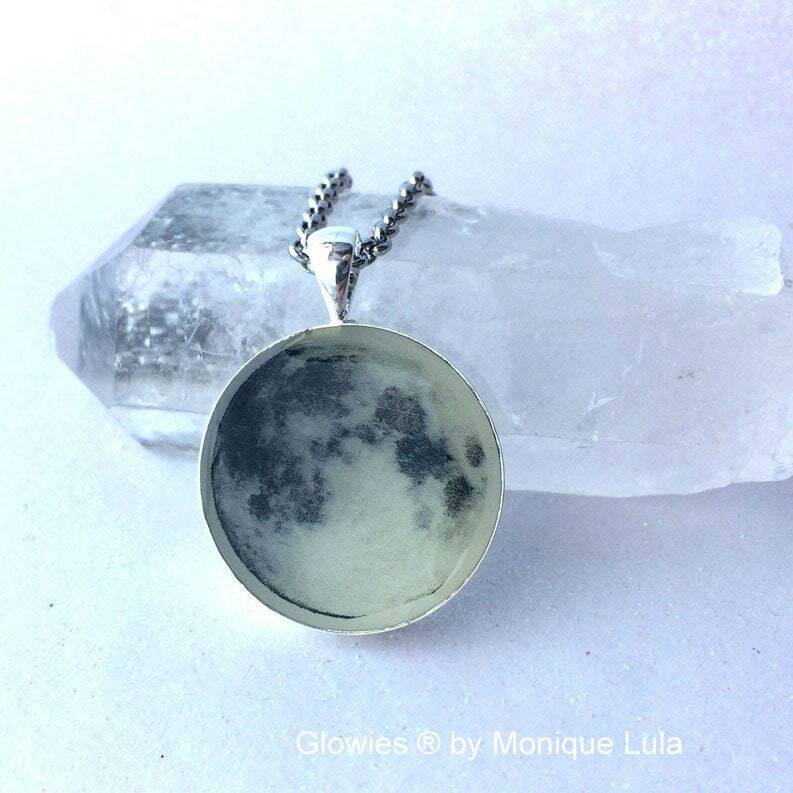 The glow will gradually fade until recharged. 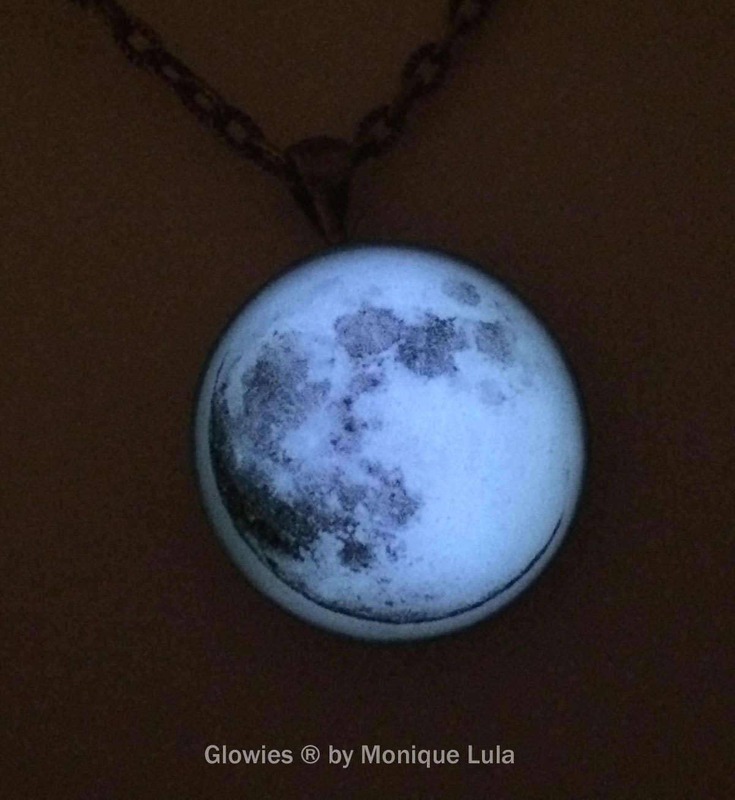 Wear the glow and experience the magic. So much fun!